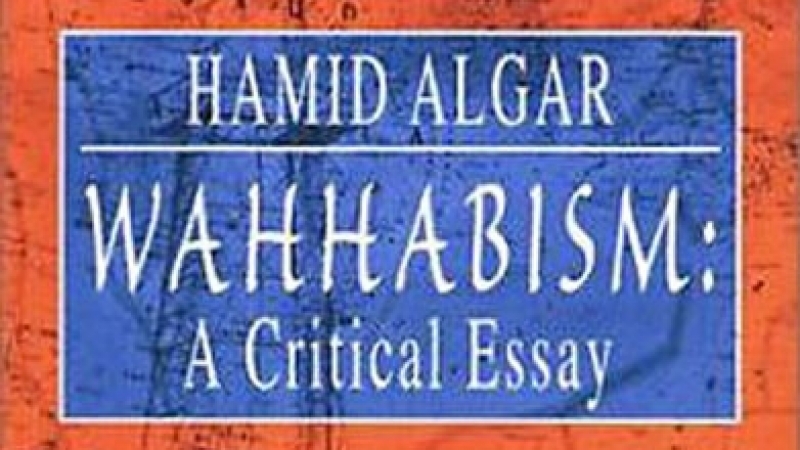 Wahhabism: A Critical Essay, by Hamid Algar. Pub: Islamic Publications International, Oneonta, New York (www.islampub.com), 2002. Pp: 98. Pbk: $12.95. ‘Wahhabism’ and ‘Wahhabis’ are names, often used derogatorily by those outside its fold, given to the doctrine and followers of Muhammad ibn Abdul Wahab, who, annoyed by practices which he claimed were bordering on kufr, launched a campaign to ‘purify’ the Islamic faith. Many have compared the Wahhabi campaign to Islamic ‘reformation’ and ‘revivalist’ movements in various parts of the Muslim world. Professor Hamid Algar’s study of the Wahhabi phenomenon is timely: it comes after the rise and fall of the Taliban regime in Afghanistan, whose ‘Islamic’ rule few would deny was a carbon copy of the Wahhabi-Saudi rule in the Arabian peninsula. The difference between them is mainly that the former was destroyed because of its resistance to Western bullying, and the latter survives because of America’s interest in the region’s petroleum resources. The western media have labelled as ‘Wahhabis’ any jihad groups in Central Asia, and conveniently used phrases such as "strict Sunni Islam" or "puritan Islam" to describe the Saudi and the Taliban governments. But Wahhabism is not Sunni Islam; in fact many Sunni traditions have been attacked by the Wahhabis as shirk and bid’ah (innovations), the most common example of which is the celebration of the Prophet’s birthday. Most non-Wahhabis already have a general idea of Wahhabism even if they have not experienced it personally. Generally speaking, Wahhabis delight in polemics, have no patience with a second opinion, are often chauvinist in their interpretations, and usually peripheral in their approach. Anyone with a Wahhabi tendency is generally liberal in the use of strong terms such as bid’ah, kufr, aqidah, shirk and khurafat. Yet a tendency to label and condemn is not exclusive to Wahhabis. Numerous other pseudo-intellectual movements to "purify" Islam have emerged later, often claiming that Muslims have deviated for "hundreds of years", only to be offered salvation by these ‘purified’ understandings of theirs, as if Islam’s built-in system of deviation and correction is inadequate. One can safely name in this category the ‘gold dinar’ advocates and the anti-hadith followers, both from opposite extremes but identical in their approach and thinking method: one obsessed with monetary issues, the other with weak ahadith. Any movement that does not have an intellectual foundation may be doomed to fail, especially when it seeks to interpret and offer guidelines for a revealed paradigm. One may be forgiven for thinking that the movement of Muhammad ibn Abdul Wahhab emerged out of a scholastic tradition, from the fact that Wahhabism has grown from its small localised beginnings to encroach into the minds of many Muslim individuals and groups from Indonesia to Europe. Historical honesty demands that we admit that this in itself is some success. True, Wahhabism may not be pursued with the same vigour today as it was during its early days, yet its influence on the Muslim world is undeniable. In the West Muslims may have encountered Wahhabi tendencies among the more idealistic youngsters, who are influenced through Saudi-sponsored Muslim fraternities such as the Muslim Student Associations, the Muslim World League, the World Assembly of Muslim Youth (WAMY), and an array of academic institutes and publication houses. In the East the Wahhabi success story is much shorter, although the Saudis have funded Muslim youth organisations in the Indian subcontinent and south-east Asia. The Jamaat Muslimin group in India and the Muslim Youth Movement of Malaysia (ABIM) are examples. However, it would be grossly unfair to dismiss these organisations as Wahhabi set-ups. 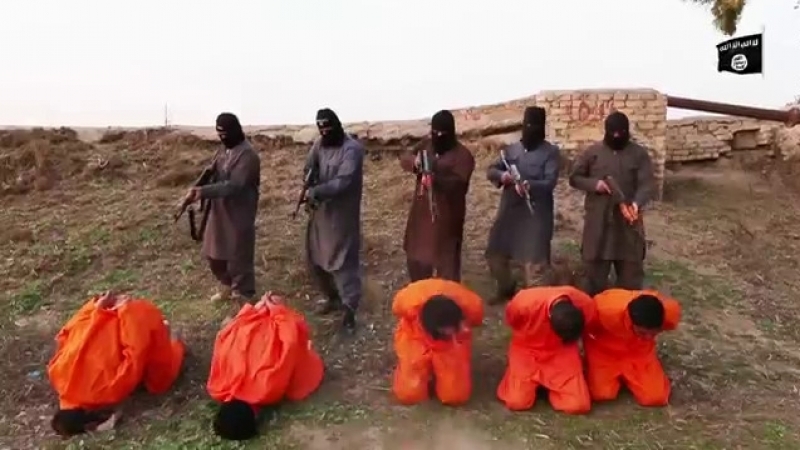 Social, cultural and financial circumstances have made these unsuspecting groups embrace Saudi-Wahhabi assistance. In much of India and the Malay world it is admitted even by the most anti-Wahhabi that many unIslamic beliefs and practices have penetrated local Muslim traditions; various forms of Wahhabism have offered that radical ‘cleaning up’ drive that local ulama have not been able to provide. Some even try to justify the Wahhabis’ ‘historical terrorism’ in the Arabian peninsula, destroying places of historical importance, such as libraries and graves of the Sahaba(ra). Whether all this is done with sincere Wahhabi sentiment is highly doubtful, as Algar notes: the palaces of the Saudi monarchs have somehow escaped the Wahhabis’ ‘purification’. The Saudis’ Islamic programmes are conducted in the hope of acquiring political legitimacy within the Ummah by propagation of Islamic tenets, albeit with questionable interpretations. The end-products of such programmes are at best an intellectual exercise for Islamic studies graduates. One example is the so-called revised version of Abdullah Yusuf Ali’s translation of the Qur’an. Years of effort by Wahhabi-minded scholars have resulted in a distorted version of the original work , with all commentaries or terms bordering on tasawwuf — which is innovation according to the Wahhabis — omitted. One interesting comment by Algar is his rejection of the theory that Wahhabism had a scholarly origin. He points out that Muhammad ibn Abdul Wahhab had no foundation, intellectually or spiritually. A cursory glance at some of the Wahhabi writings and reference materials does show a lack of research and intellectual honesty. Many of these books, as he observes, are merely collections of ahadith on different subjects. Perhaps in jest, Algar argues that the birthplace of Wahhabism is enough for us to view its doctrines with suspicion, mentioning an "apocalyptichadith" about Najd being unfavourable compared with other regions in terms of divine blessings. He adds: "Correlating apocalyptic hadith with observable historical phenomena is a hazardous task, best left unattempted, and this particular hadith, if indeed authentic, may ultimately be seen to have a sense entirely unconnected with Wahhabism" (pp. 5-6). Using the works of Orientalists and Arab Muslims, Wahhabis as well as non-Wahhabis, he argues that the final feather in Wahhabism’s cap was the founding of the Kingdom of Saudi Arabia. Algar’s explanation of the early rise of Wahhabism is also useful to understand the rise of the Saudi dynasty in the Arabian peninsula and how the colonial powers, namely the British in this case, used such groups in order to remain effectively entrenched in territories long after they ‘leave’. These are historical facts, but what the writer seems to have missed is the fact that the Wahhabis even in their early days were not very different from their modern counterparts, such as the Taliban. Followers of Wahhabism may have been unprepared for, and ill-equipped to deal with, the intricate and devious manoeuvres of the British. Could it not be that these unsuspecting followers were used by Britain because of this lack of sophistication on their part? Having given an overview of Wahhabism, Algar explains the various activities of the Saudis, using their oil wealth, to propagate the Wahhabi creed to the rest of the Muslim world, through the organisations mentioned above. While not much success can be conceded to Wahhabis in Muslim countries, the fact is that the Wahhabi ‘ideology’ has been spread vigorously among Muslims in the West. In the meantime, he also dismisses the Western propaganda of the Wahhabis’ so-called influence in the Caucasus and Central Asia. The last part of the book deals with the Shi’ah response to Wahhabism. Were it not for the fact that the Shi’ahs have been at the receiving end of the Wahhabi onslaught, the subject would have been better ignored. One of the Wahhabis’ primary targets were the Shi’ahs in the Holy Lands, and fatwas were issued by Wahhabi scholars condemning them and saying that their blood may be shed. Algar then fast-forwards to the contemporary Wahhabi position on Shi’ism, and how those opposed to the Saudi dynasty continue to echo Wahhabi sentiments despite their criticism of Muhammad ibn Abdul Wahhab because of his alliance with the Saudis. Other Wahhabi-minded dissidents have been more accommodating, and prefer to be among the more ‘diplomatic’ (by Wahhabi standards) cousins of Wahhabis, called Salafis, so called after the generation of ‘Salafs’: the generation of the Prophet (saw) and the four Caliphs (ra). Algar, however, warns us of the tendency of the people whom he calls "professional anti-Wahhabis" to accuse of Wahhabism any who do not subscribe to their own political and religious views. The Salafis, and those for whom the cause of Palestine is a high priority, for example, are some of their victims in America. 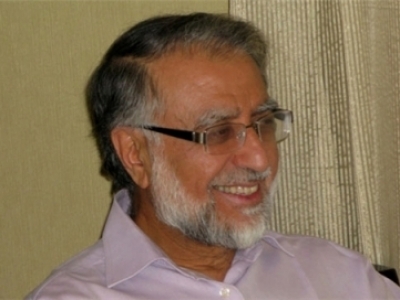 He writes: "No doubt the Salafi mode of thought has many adherents, and no doubt it has many points in common with Wahhabism... however, it is inaccurate, irresponsible, and dangerous—particularly in the climate of the post-September 11 America—to conflate ‘Salafi’ with ‘Wahhabi’ and paint a picture of American Muslims as being in their majority Wahhabi" (pp 67-68). The book ends with some selected writings by Muhammad ibn Abdul Wahhab and his followers, and a Shi’ah response to Wahhabism in the form of a letter by Shaykh Ja’far Kashif al-Ghita to Abdul Aziz bin Muhammad bin Saud, refuting the Wahhabis’ many accusations of shirk and kufragainst Shi’ism. Algar’s essay on Wahhabism is perhaps the strongest indictment of the divisive sect by a contemporary Muslim academic in the West, one who is highly respected for his depth of scholarship. Yet it would be unwise to brand such groups as being outside the fold of Islam, and Professor Algar is careful not to do so. It is imperative that Muslims be warned of such a dangerous creed within Islam. Yet it is more productive to seek common ground with such groups and engage them within the Islamic movement, instead of wasting energy on countering their claims. The truth is that supporters and opponents of Algar’s views on Wahhabism may be surprised to find their differences made irrelevant by the common enemies of Islam.